One mom is on a mission to make advertising more inclusive, and her 15-month-old son Asher is helping her. BUFORD, GA -- One mom is on a mission to make advertising more inclusive for all children, and her baby boy is helping her. Asher Nash is an adorable 15-month-old, so when his mom, Meagan, came across a casting call in July for the children's clothing brand, Carter's, she submitted photos of her son. When she didn't hear back from the talent agency, the mother of two said she reached out to the agent. "Her (the agent's) response to me was, 'I did get the submission but I did not submit because the criteria did not specify that they were looking for a baby with special needs,'" Nash told ABC News. "And to that, I asked her, 'Well, did they specify that they were not looking for a baby with special needs?' And she said 'No.' She said they didn't specify either way." Nash said the agent apologized and said she'd submit Asher's pictures, but the incident got her thinking for months about how many other talent agencies were not entering the photographs of children with disabilities. 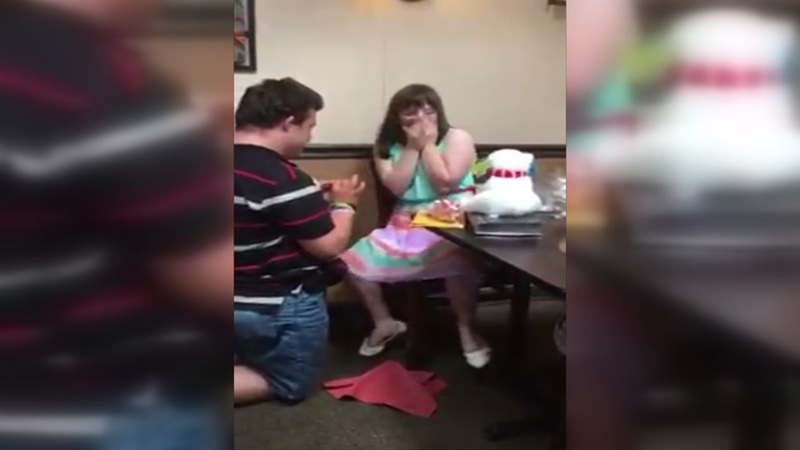 Meagan went on to share her and Asher's story on the family's Facebook page, Asher's Down Right Perfect, and it was picked up by popular Facebook page Kids With Down Syndrome. Since then, Asher's dilemma has been shared by more than 125,000 people. In her original post, Nash wrote that her son would love to model for OshKosh B'Gosh, whose parent company is Carter's, Inc., and called for more inclusion. OshKosh B'Gosh met with her family, and now their son, who has Down syndrome, will be part of the children's clothing company's holiday advertising campaign. The family's story was featured on ABC World News with David Muir. "It made me feel really good, as his mom, as his advocate," said Nash, who also works with the Down Syndrome Association of Atlanta. "I feel accomplished. I feel like I set out to tell Asher's story, to be heard, for him to be heard. And that is exactly what happened, we were heard. Our message was delivered." In a statement to ABC News, OshKosh B'gosh thanked Nash for raising the companies' awareness on the issue. 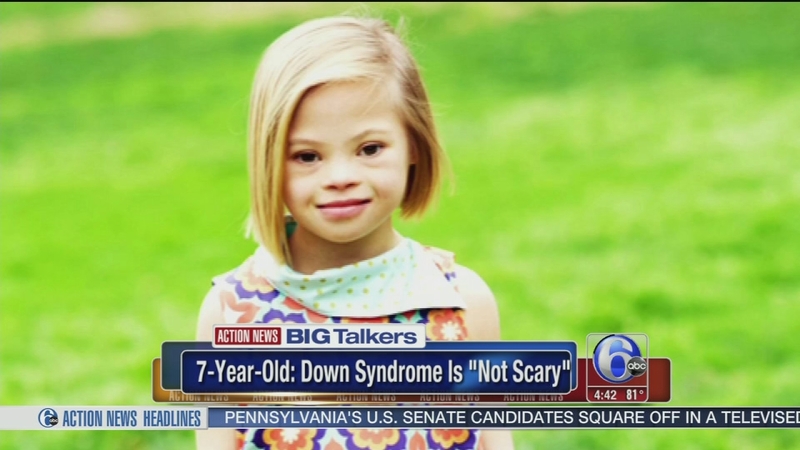 A young girl's inspiring message about Down syndrome is going viral and her mother hopes it teaches people that being different is actually a good thing. "OshKosh B'gosh enjoyed spending time with Asher and his family earlier this week and hearing their perspective. We appreciate Ms. Nash's passion for greater inclusiveness of children with special needs in advertising. ... We are committed to evolving our process to ensure that in the future children with special needs are better represented in our advertising campaigns," a representative said. Nash is looking forward to seeing her son's OshKosh photos. "My real goal for him (Asher) in life is just for him to be included," Nash said. "I want him to be included with his peers when he goes to school. I want him to be included when he is an adult and he is going to work. I just want him to be able to live in a world where he has full inclusion and he is accepted for who he is, not for his diagnosis." Try not to cry watching this beautiful love story because it will give you all the feels. Danny and Ashley were both born with Down syndrome, but they share the most pure, unabashed, and blissful examples of true love that we have seen in a long time.